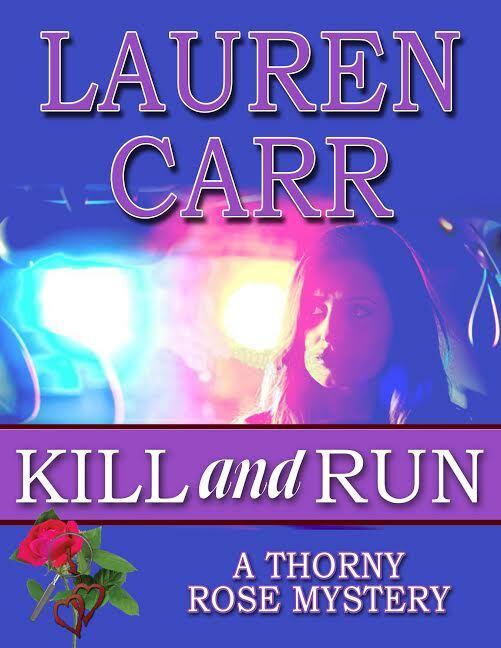 With a great cast of characters that keeps this mystery / suspense novel light and fun, Kill and Run is a great first instalment to Lauren Carr's newest series A Thorny Rose Mystery. The first book I read by Lauren Carr was Three Days to Forever which I enjoyed very much. Two of the characters from this book, Murphy Thornton and Jessica Faraday, become newlyweds and form the main characters in Kill and Run. I enjoyed this book even more than the first one I read, probably because Murphy and Jessica were further developed and we get to know them more intimately. We get to see their insecurities and how they deal with their new lives as a married couple. 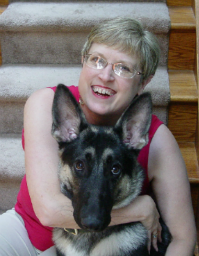 Although Carr includes her signature heroic crime action scenes with both her human and animal characters--who I must say were a riot!--she involves many family scenes that endear us to the characters. Family loyalty is important to the main characters as is their duty to their work and country. The plot line is well-executed and although as readers we think we have it all solved there is much more to the puzzle than meets the eye. I liked this. Carr knows how to keep a reader involved. She shows both the good and bad side of the government and its military. She manages to develop a great storyline that's easy to follow with alternately suspenseful and humorous moments. Best of all, she includes characters from her other series with some of their past history to tie in with this new story. With a great cast of characters that keeps this mystery / suspense novel light and fun, Kill and Run is a great first instalment to Lauren Carr's newest Thorny Rose Mystery series. I truly look forward to the next book in this series. Thank you so much, Laura! So glad you enjoyed this first installment of the Thorny Rose Mysteries. Next installment in this series will be A FINE YEAR FOR MURDER in September! See you next month for the CANCELLED VOWS tour! I can't wait to see what else awaits Jessica and Murphy! Thanks for stopping by, Lauren.